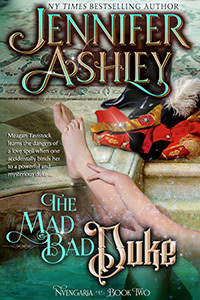 The Mad, Bad Duke is Out! I confess this is one of my favorite all-time books. I love the dark, dangerous Alexander, Meagan not letting him get away with anything, and the Nvengarian servants and bodyguards who are all on her side. I also always enjoy the The Beauty and the Beast theme. If you enjoy the book–or remember it fondly from the past–please consider posting a review. It’s hard to get visibility for re-published books, and every little bit helps! 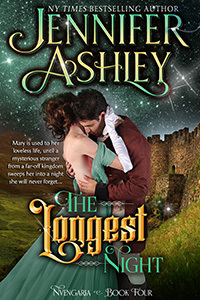 Note that these books are Fantasy Romance–which means there will be shape-shifting, magic, love spells, and other crazy things going on in Regency London. PRINT editions will be out on the day of release. Highlander Ever After and The Longest Night both have Christmas / Hogmanay themes if you’re looking for a holiday read!